US RESEARCHERS FROM the University of California says they have “clear and direct evidence” that autism begins during pregnancy. The study published today by the New England Journal of Medicine, analysed 25 genes in post-mortem brain tissue of children with and without autism. These included genes that serve as biomarkers for brain cell types in different layers of the cortex, genes implicated in autism and several control genes. The researchers – Eric Courchesne, Professor of neurosciences and director of the Autism Center of Excellence at UC San Diego, Ed Lein of the Allen Institute for Brain Science in Seattle and first author Rich Stoner of the UC San Diego Autism Center of Excellence discovered focal patches of disrupted development of the cortical layers in the majority of children with autism. “Building a baby’s brain during pregnancy involves creating a cortex that contains six layers,” Courchesne said, with Stoner stating that patches of cortex had failed to develop the normal cell-layering pattern. The most surprising finding was the similar early developmental pathology across nearly all of the autistic brains, especially given the diversity of symptoms in patients with autism, as well as the extremely complex genetics behind the disorder,” explained Lein. The scientists said that during early brain development, each cortical layer develops its own specific types of brain cells, each with specific patterns of brain connectivity that perform unique and important roles in processing information. As a brain cell develops into a specific type in a specific layer with specific connections, it acquires a distinct genetic signature or “marker” that can be observed. The researchers found that in the brains of children with autism, key genetic markers were absent in brain cells in multiple layers. 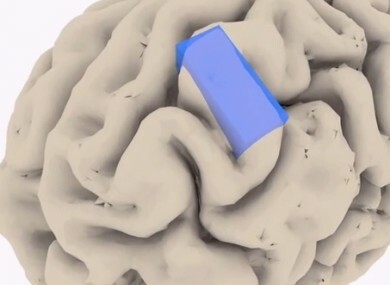 They said that the fact that we were able to find the patches is remarkable, given that the cortex is roughly the size of the surface of a basketball and that they only examined pieces of tissue the size of a pencil eraser. Studying when autism begins is challenging, said the scientists, because they have to rely upon studying adult brains, while in this case they were able to study autistic and control cases at a young age, which they said gave them a unique insight into how autism presents in the developing brain. “The finding that these defects occur in patches rather than across the entirety of cortex gives hope as well as insight about the nature of autism,” added Courchesne. They said that such patchy defects, as opposed to uniform cortical pathology, may help explain why many toddlers with autism show clinical improvement with early treatment and over time. Email “Autism begins during pregnancy, says new US study”. Feedback on “Autism begins during pregnancy, says new US study”.